December | 2008 | Shelf Elf: read, write, rave. 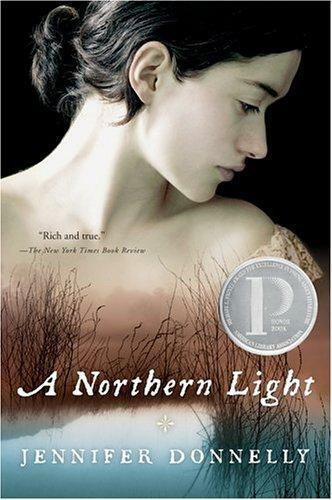 The fantabulous Little Willow, readergirlz postergirl extraordinaire, put together an awesome roundtable discussion on January’s upcoming featured title at readergirlz: A Northern Light, by Jennifer Donnelly. Postergirlz Little Willow, HipWriterMama, Miss Erin and I were joined by readergirlz divas Lorie Ann Grover, Holly Cupala and Melissa Walker to discuss this wonderful novel. A little background: Interwoven with the experiences of the heroine, Mattie Gokey, is the true story of Grace Brown, a young woman who died under mysterious circumstances in the Adirondacks in 1906. Jennifer Donnelly brings the two threads of story together throughout her novel. 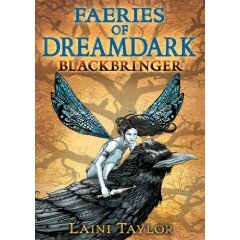 Little Willow: What was your basic impression of the book? Lorie Ann: I was amazed at the plot arrangement and beautiful literary qualities of the work. I knew this would gain notice and awards, and I’m so pleased it did! When we began rgz, I wanted A Northern Light to be featured. Holly: I loved how every thread contributed toward Mattie’s final decision – so beautifully, intricately drawn – and Jennifer shows us the light alongside the dark. Nothing is as it seems. Secrets abound. People have been telling me for a long time to read it, and I’m glad I finally did! Miss Erin: Same here, Holly – I’d had several people rave about it to me, so at last I picked it up. I thought it was beautifully done, pretty much perfectly written, and a book I can definitely see myself reading multiple times. HipWriterMama: I loved this book. Mattie reminded me of a gentler and more uncertain Jo March. I liked how Mattie was able to see and “accept” the flaws of her family and friends and want more for them. And, for herself. Beautifully written book with excellent use of plot and supporting characters to show Mattie’s growth. Melissa: The idea of an epic crime as the dark back story for Mattie’s coming of age moments really intrigued me from page one. Shelf Elf: This is the sort of book that made me sigh happily at the end. It felt old-fashioned to me, in a totally satisfying way. It already reads like a classic story. LW: Did you like how the narrative flipped back and forth between Mattie working at the time of the murder and the events beforehand? Lorie Ann: Yes, I thought it was genius! And how she let us know with a word entry if we were back in time or current. I was propelled by several mysteries because of the structure. Shelf Elf: I’m not always a fan of this type of “then / now” structure, because I’m usually more interested in one thread of the narrative than the other, so I can find it frustrating. In this case though, I thought it helped to increase the tension in the story. Miss Erin: I definitely agree about it upping the tension. It felt so murky and confusing (not in a bad way) at first, but as I went things became clearer… It was brilliant, really, the way the author tied everything in. HipWriterMama: I had to read the first few chapters a couple times to get used to the narrative. (Partly because I don’t have the luxury of reading a books straight through, so I was a little confused in the beginning.) But, afterwards, I was impressed with how this narrative worked and helped the story flow. Truly a work of art! This entry was posted in readergirlz, Teen/YA on December 31, 2008 by shelfelf. Leslie Connor’s Waiting for Normal sure had a lot of build-up by the time the good ol’ Toronto Public Library finally got it in for me months after I’d requested it. 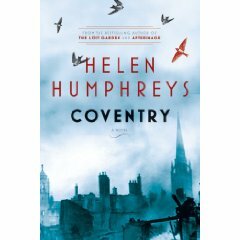 I’d read review after glowing review which meant that I started reading with some trepidation. So, did it measure up? If I talk plot, you’ll have a hard time believing that this book is ultimately an uplifting, feel-good story. This is not to say that there aren’t some terribly sad, life-is-not-fair aspects to this narrative that really do put a squeeze on your heart as you’re going along, but overall, this is a story that will leave you feeling (mostly) optimistic about the universe. Addie has the misfortune of having a mother who is a loser. (I could put it more gently, but why sugar-coat). In the first chapter, we meet Addie and her mom (Mommers to Addie) as they are about to move into their new home. Their new home is a dingy old trailer surrounded by blacktop on a “medium busy corner” in Schenectady. They should be grateful, since Dwight, Addie’s ex-stepfather, is letting them live for free there because they don’t really have anywhere else to go. Since the divorce he’s moved on with his life, along with Addie’s two half-sisters, but he still works hard to be a presence in Addie’s life. Straight off, it’s clear who’s the adult in this mother-daughter relationship, as Addie’s mom does nothing but sulk about the negative aspects of their new arrangement, and when she’s not sulking or smoking or chatting online, she’s completely unpredictable and really doesn’t know how to be a proper mother to Addie. Addie is pretty-nearly unfailingly optimistic. From time to time this is a bit of stretch in the believability department, but Addie does show her vulnerability just enough that we sense she is barely holding herself together, in spite of her efforts to look for the positive no matter what happens. She befriends a few characters around and about her new neighborhood, and they assume the place in her life that family would if her world was “normal,” the way she dreams it could be. This is not a story where a lot happens, but it moves along at a great pace. This is because you’re so invested in the character, hoping that she’ll start getting the life and the care that she deserves. 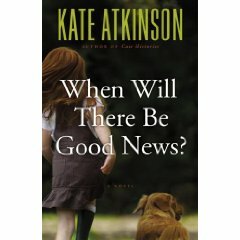 The tension comes entirely from the desperation of Addie’s situation as her mother goes off the rails and leaves Addie to fend for herself for increasingly long stretches. I have to say that the idea of this child, trying to make do all alone in this trailer on an empty lot was just awful, so sad and so bleak. There is this moment when Mommers is off on one of her “business trips” and Addie has been alone for several days and she starts checking the cupboards to do an inventory of her remaining food. When she sees that she’s running low, she decides to reassemble the empty macaroni and cheese boxes using glue and then she fills them with push pins so that they rattle around and sound full, just to reassure herself. It would be hard to imagine a more powerful way to communicate to a reader how Addie is strong and vulnerable all mixed together. 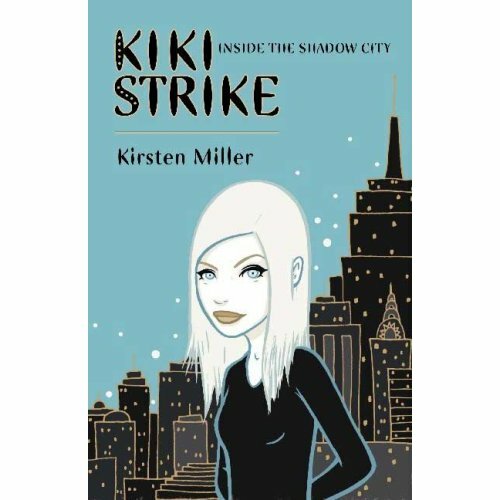 This novel is ideal for a book club or for literature circles in the classroom because of the complexity and perilousness of Addie’s situation. Discussion points / themes might be: responsibility, what makes a family, where hope comes from, being grateful for small things and heroism. 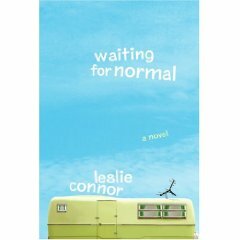 Waiting for Normal is thought-provoking and written in wonderfully spare language, with a clear, honest, and sometimes funny voice. Waiting for Normal is published by Katherine Tegen Books, an imprint of Harper Collins. This entry was posted in Middle Grade, Openmind on December 30, 2008 by shelfelf. Needless to say, my stocking was rather heavy. It was sort of tied to the bookshelf. So… what should I read first? This entry was posted in Just Cool on December 26, 2008 by shelfelf. What do you get when you mix together five kids, 3 hidden keys, 2 secret continents and 1 summer camp experience like no other? P.J. 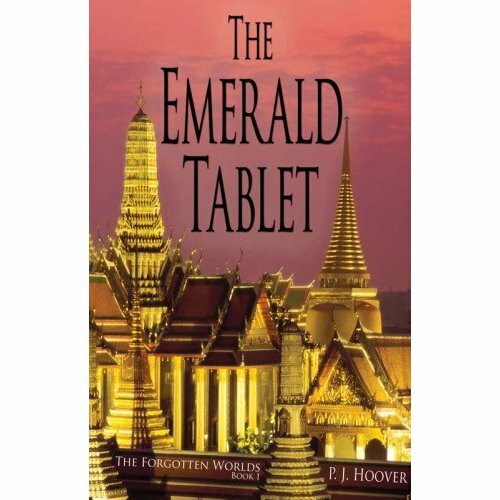 Hoover’s debut MG fantasy, The Emerald Tablet. I finished this book yesterday, and it made me wish I had a whole list of ten-year olds to find Christmas presents for, because this book is going to make a lot of ten-year-old bookworms very, very happy. Happy days indeed, because here’s a story (the first in a trilogy too!) for a kid who loves Harry Potter or Inkheart or the Percy Jackson books and thinks that after those series, there will be no other books that will ever be fun to read, ever again. This is where you become that kid’s hero, because The Emerald Tablet is all about kid power, magic power, evil power, telekenetic power, and the power of friendship. Fear not readers, that The Emerald Tablet is simply a rehashing of stuff we’ve already seen again and again. P.J. Hoover is a lady with oodles of creativity, and she puts a spin on the classic kid fantasy / adventure story that is fresh and engaging. For starters, our young heroes have extraordinary abilities (it’s not all about wands and spells and broomsticks this time people). These kids are “telegens,” which means they are telepathic and have telekinetic powers and a bunch of other amazing skills too. The story begins when Benjamin and his best friend Andy learn that they’ll be spending their summer vacation at a camp for telegens, which turns out to be located in Lemuria, a hidden, submerged continent. As if that alone wasn’t crazy enough, soon after Benjamin arrives in Lemuria, a mysterious stone known as The Emerald Tablet chooses Benjamin to be its champion, which means he has to, you know, save the world. The rest of the story follows Benjamin as he fulfills his destiny, with a little help from his talented telegen buddies. The adventure rips along, and the world P.J. Hoover creates convinces you and makes you curious all at once. One particular strength of the book is the gadgets that Hoover invents as part of the Lemurian world – the Kinetic Orb (“kind of like a Rubik’s Cube, but for smart people”), telemagnifiers (objects that increase the power and abilities of the wearer’s mind), and a Geodine (a globe the size of a golf ball that contains the entire history of the earth). Aside from the “wow… cool” factor of these creative inventions, they end up playing important roles in the kids’ quest. Hoover is good at plot – she hints at things just enough to make you curious, and to get your wheels turning, but you see how it all fits together in the end. The Emerald Tablet is published by Blooming Tree Press. This entry was posted in Fantasy, Middle Grade on December 24, 2008 by shelfelf. 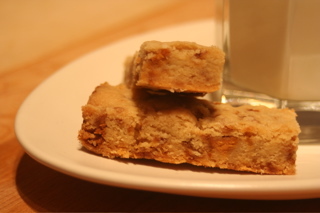 During Thursday’s readergirlz chat with Meg Cabot, I was chatting and baking a giant batch of Toffee-Crunch shortbread to give as gifts. (As you can see, I was forced to sample a few, just for quality control purposes). I promised Holly Cupala that I would share the recipe. So here it is! Perfect for giving (and nibbling). 1 cup English toffee bits for baking (I think you call them Heath bars south of the border. We call them Skor bars in the Great White North). 1. Preheat the oven to 325 degrees. Butter a 9×13 inch metal pan. line the bottom and two long sides with parchment paper and leave a good overhang on either side to pull the cookies out of the tin later. 2. Sift the flours (all purpose and rice) and salt and set aside. 3. In a mixer (or by hand if you’re feeling like a pioneer), beat the butter until it’s really smooth. Gradually add the sugars and beat until it’s very light and fluffy. Add vanilla and mix. 4. Add the flour mixture, about 1/2 cup at a time, incorporating fully before adding the next addition. (But don’t go crazy here. Mix just enough or the cookies will end up a tad tough). 5. At the end, when the last bit of flour is almost mixed in, get in there with your hands and knead the last traces in. Don’t overdo it. It shouldn’t get greasy. 6. Add the chips and the toffee bits and incorporate again using your hands. 7. Do not eat the dough. You will want to. Desperately. Resist. 8. Press the dough into the lined pan and then smooth the surface with the back of a spoon. Prick it all over with a fork (in perfectly-spaced, orderly rows if you’re Type A, like I am). Put in the centre of the oven. 9. Bake for approximately 45 minutes then take it out and prick once again to release trapped air. 10. Return to the oven for 15-30 minutes more. When done, the edges will be light golden and the centre will feel firm when you touch it. 11. Cool for about 8-10 minutes. Time it. You need to cut the fingers before it cools or else you will never be able to do it as it sets up very firm. After the 10 minutes of cooling time, make 2 long cuts in the shortbread, beginning and ending at a short side of the pan. You’re dividing it into three long rectangles. Then go across these long rectangles, cutting 3/4 inch wide fingers from one side to the other. You may need to wipe the knife off as you go to avoid tearing. 12. Let the fingers cool. I like to remove them from the tin to cool, but the recipe says to leave them in the tin to cool. Whatever. Store in airtight containers. This entry was posted in General on December 21, 2008 by shelfelf. I’m beyond excited to announce that beginning in January 2009, I’ll be joining the fantastic team of postergirlz (Little Willow, Jackie, Miss Erin and Hip Writer Mama) working with and for the ever-fun-and-fabulous readergirlz. Perhaps the fireworks are a shade dramatic, but they are so pretty and pink (just like the readergirlz website) and I feel like celebrating my little piece of happy news. If you aren’t already in the know about readergirlz, here’s the scoop. Really, the aim of readergirlz is to get readers to “read, reflect and reach out.” It’s about creating a community of readers to discuss the issues and themes and behind-the-scenes-stories of some of the best YA books out there, with some of the coolest authors around. Read the full readergirlz manifesta here. Simple really. You read the featured book for the month, hang out and leave your comments and questions at the readergirlz forum, and then join in on the live chat with the author on the scheduled day for that month. I guarantee it’ll make you think, laugh and love books even more than you already do (and you get to spend time with real live authors and cool/smart/inspiring girlz from all over the place). Also, every month focuses on a particular theme (self-respect, courage, tolerance, risk-taking), and through that theme, the mastermind readergirlz divas link the featured book to an amazing charity or organization that you can get involved in to make change in your community and beyond. The world needs more readers like readergirlz. So join up. January’s title is one of my favourite reads of the past few years: A Northern Light, by Jennifer Donnelly. Thank you to the Divas: Holly Cupala, Dia Calhoun, Justina Chen Headley, Lorie Ann Grover, Mitali Perkins and Melissa Walker for inviting me to be a part of the coolest crowd of book-lovers I know. This entry was posted in Just Cool, readergirlz on December 20, 2008 by shelfelf.